Mysuru: With the State Assembly elections fast approaching, DC D. Randeep held a meeting of officials at his office here on Saturday. Randeep observed that once the poll code of conduct gets enforced, election work would pick up pace and hence asked officials to make necessary preparations well in advance to ensure no lapses in election work. 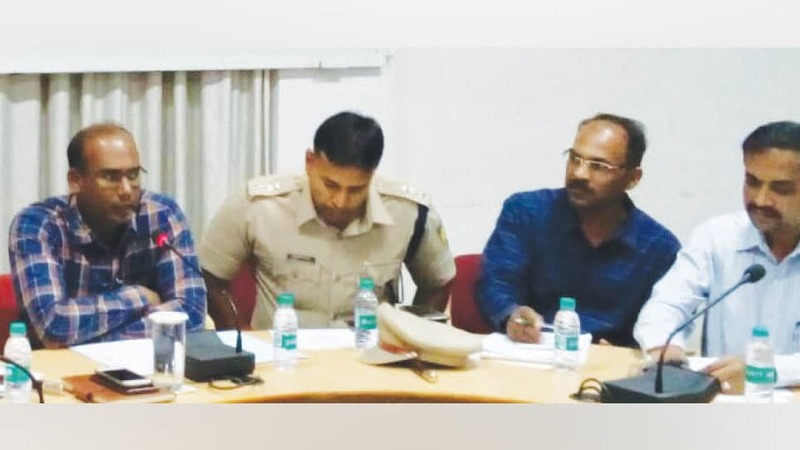 He opined that Varuna and Chamundeshwari constituencies had assumed tremendous significance and hence contended that mapping of Police Stations falling under the limit of those constituencies was vital to ensure good security arrangements. He said that booth-level officers too should be made aware of the security arrangements. He asked the Tahsildar and Police Department to do the mapping of the Police Stations and submit the report during the next meeting. Continuing, Randeep said that as per the directive of the Election Commission of India, a critical analysis of sensitive and hyper-sensitive booths should be prepared in every Police Station limits to enable deployment of Sector Officials and make other security arrangements. The DC further said that the officials have to function under three categories — District Election Management, Communication and Security with Nodal officers already appointed for the same. He informed that ZP CEO P. Shivashankar would monitor SVEEP (Systematic Voters Education and Electoral Participation) initiative, Urban Development Cell Project Director Loknath would take care of election training, MCC Zonal Commissioner T. Javaregowda for EVM and VVPAT management, Office Assistant of DC’s office S.M. Mahadev for managing election essential materials, Joint Director of Department of Social Welfare Prabha Urs and District Officer-Backward Classes Welfare Department Somashekar for managing poll code of conduct and Helpline, Deputy Director-Department of Information and Public Relations R. Raju for Media Authentication and Vigilance Committee, ZP Chief Project Officer K.B. Prabhuswamy for election expenses, Tourism Department Deputy Director Janardhan for ballot papers, postal ballot and dummy ballot papers, NIC Officer Devaraj for election software and Horticulture Department Deputy Director D. Manjunath for Election Observers would be the Nodal Officers, the DC briefed. Randeep asked District Welfare Officer for Physically Challenged to ensure that all necessary aids like wheelchair and crutches were available to facilitate disabled voters. DCP N. Vishnuvardhana, Additional SP Rudramuni, Assistant Commissioner Shivegowda, MCC Commissioner G. Jagadeesh and others attended the meeting.